- BD Models: Sold Less Cylinder. For Matching Cylinders see "Companion Items" below. - Delivery: The Schlage CO-Series Rhodes Levers are In Stock and available to ship. Function: The Schlage CO-Series Levers are available in Cylindrical (CY) function. Lever Design: The Schlage CO-Series Levers come in Rhodes (RHO) design. 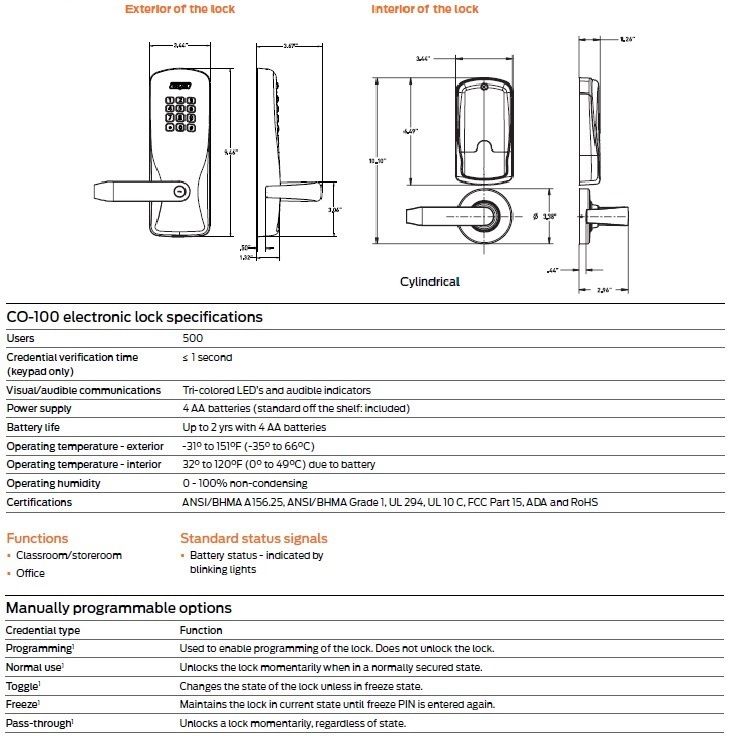 Cylinder Options: All Classroom/Storeroom (BD) functions are sold Less Cylinder; see "Companion Items" above for all Cylinder & Keying options.